Shopping for a new or used car, truck, or SUV doesn’t have to be complicated, time-consuming, or stressful. In fact, when you visit Safford Chrysler Dodge Jeep Ram of Fredericksburg, we strive to make sure your experience is exactly the opposite! Our friendly, knowledgeable team members are at your service from the moment you step through our doors until long after you’ve driven home in your new or used vehicle. We understand that our customers are our most vital resources, and you can be assured that we’ll treat you that way. Whether you’re in the market for a brand-new Jeep Cherokee, budget-friendly used car from various brands, or a certified pre-owned Chrysler, we will respect your financial parameters and help you secure financing that works for you and your budget. Use our handy online tools to explore our extensive inventory, value your trade, estimate your payments, and get a jump-start on the financing process—we’re a one-stop shop for all your car-buying needs! All vehicles require regularly scheduled maintenance in order to continue operating at their best for years (and miles) to come. And, of course, no matter how diligent you are about keeping up with your car’s maintenance, mechanical issues occasionally arise. Safford Chrysler Jeep Dodge of Fredericksburg takes the dread out of addressing these problems. Our service center utilizes a team of expert technicians who are just as customer-focused as the rest of Safford’s team. They will work quickly to diagnose the issue, fix it, and get you back on the road as soon as possible. Standard maintenance is quick and easy, and you can even schedule an appointment online so we can take care of your vehicle at your convenience. As if you needed more convincing, we also have service specials that can save you money on certain repairs and services! If you’re in the market for a pre-owned vehicle, you’re in luck—our conveniently located dealership has a huge selection of used cars from a variety of manufacturers! For those who want some additional peace of mind, each vehicle in our inventory of certified pre-owned models goes through a 125-point inspection to make sure it meets our high standards for quality. Warranty plans are available as well, and we have a dynamic assortment of used vehicle specials, so you can have the confidence of driving off our lot with the knowledge that you’ve scored a great car at an even better price! Drivers in Virginia know where to turn when they’re in the market for a new or quality pre-owned vehicle. 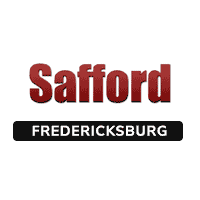 Safford Chrysler Dodge Jeep Ram of Fredericksburg is a full-service dealership with a well-stocked inventory, knowledgeable sales team, financing experts, and highly qualified mechanics at your service. We are committed to providing our customers the easiest and most stress-free car buying experience they’ve ever had, ensuring that they will return to us again and again over the years for all of their vehicle needs, from buying to leasing to maintenance. Visit us today and let us help you find the car you want at the price you deserve!